This new book by Silberman (The Hidden Scrolls, 1994) founders on the distinction it fails to keep between history and myth, description and celebration. Ever since Gershom Scholem initiated the academic study of Jewish mysticism, books on Kabbalah have divided up between the scholarly and the devotional. Silberman tries to unite the two in this popularly written social history of Jewish mystical ideas, from the fiery chariot the ancient prophet Ezekiel beheld in a vision, to the ultranationalism of modern Israeli Kabbalists, for whom the Arab world holds the place of evil in a harsh dualism inherited from the 16th-century mystic Isaac Luria. 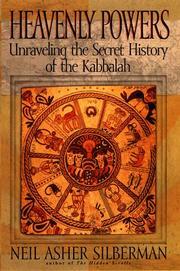 Taking Kabbalah loosely to subsume the whole of Jewish mysticism (and so endorsing Kabbalah’s own self-image), Silberman sketches correspondences between key Kabbalistic themes and the social conditions of the Jewish communities that espoused them. For example, he suggests that the famous crown-capped picture of the ten sefirot, or emanations from God, found in the Zohar, the premier text of Kabbalistic mysticism, opposes and undermines the imperialistic ideology of the 13th-century Castilian king, Alfonso X, under whose increasingly oppressive reign the Zohar was most likely composed. Although some of Silberman’s analogies are stimulating and evocative, they hardly qualify as social history. Sometimes his claims are grandiose (e.g., that Isaac Newton’s science, predicated as it is on unseen forces, owes a debt to Kabbalistic theory) or naively expressed: the story that Elijah the prophet served at Luria’s circumcision is, says Silberman, “surely mythmaking” (could there be any doubt?). In his zeal to ground mysticism in historical and social conditions, Silberman appears to adduce the Kabbalah itself as evidence, as though its teaching that earthly states mirror heavenly ones inversely confirmed its own source in the worldly exigencies of the Jewish people. Despite the occasional spark of connection, this epigonous work, so admittedly indebted to Scholem, adds little to what can be found more eloquently expressed in the master’s Major Trends in Jewish Mysticism.